Editor’s note: Between trips to work and school, many of us often dream of hopping on our bikes and taking a lengthy tour of someplace exotic. 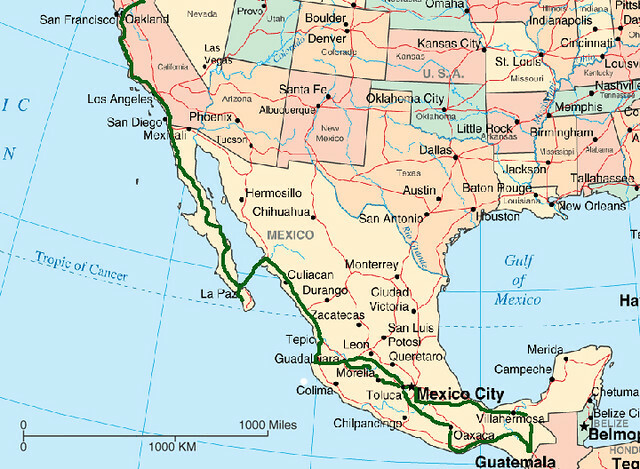 Read on for some tips on cycle touring in Mexico. The Mexican landscape is large and diverse; there are mountains that soar into the sky, beaches that stretch for miles and ancient ruins that will take your breath away. From the bustling cities you’ll visit on Cancun holidays to hidden villages full of charm and Latin flare, a Mexican adventure can mean many different things. Cycling in Mexico is an amazing way to navigate the country. For cyclists who are wary of the trials and tribulations of a trip deep into South America, Mexico presents the perfect option; exotic but not too exotic, a comfortable range between first world amenities and new world adventure. One of the most popular cycling routes in the country is for cyclists to venture down the Baja Peninsula and then hop onto a ferry headed for mainland Mexico. There are alternative routes down the Pacific coast but none rival the stunning scenery (if well-worn trail) of the Baja journey. Roads in Mexico include toll roads whose profits go to maintaining wide-shoulders and perfectly smooth road surfaces which are ideal for cycling on. The toll roads are also quite safe for cyclists, as there isn’t very much traffic on the toll roads and they also bypass almost all of the towns along each route. 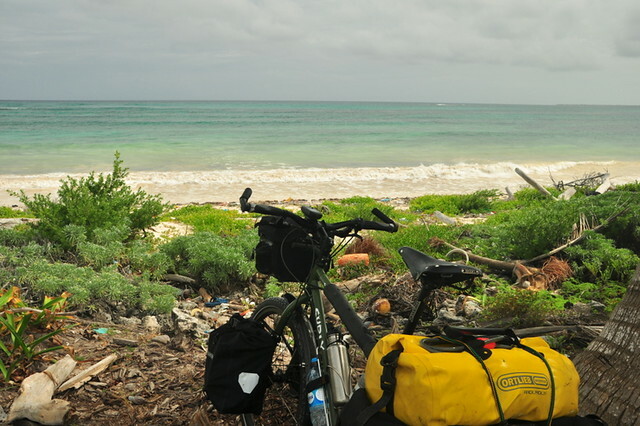 Camping is often the preferred method of accommodation for cyclists and this is easily done in Mexico. Locals are incredibly friendly and happy to share camping site recommendations or even to help pitch a tent. Small towns and villages are quite safe and a good bet for a setting up a night’s camp, just be careful not to wander off in search of ‘hidden spots’ in the larger landscape, campsites should be easily accessible and close to a town or village. Couch surfing has become incredibly popular in Mexico, thanks in large part to Mexican mothers who genuinely love to spoil visitors with delicious food and generous hospitality. While couch surfing is most popular with younger travelers, it is a great option for cyclists looking for a home cooked meal and a friendly (and local) face to help sort out the next day’s route. Local hosts are also known for providing authentic and interesting information about the towns they call home. Visitors to Mexico are likely to see police officers with rifles in the street at some point during a visit. This is because the Mexican government has been cracking down on drug gangs and violence in recent years which has meant more armed men in the streets and checkpoints on roads (which apply to cyclists as well) but rest assured these officers are there to keep everyone safe. However, visitors are well-advised to avoid city-centres at night and exercise general caution to ensure that a Mexican cycling adventure is the trip of a lifetime. Cycling in Mexico can be great fun, so why not take a chance this summer and do something a little different? Want to get a real good workout during your commute? As great as it is to be getting your work out on while riding your bike to and from work, I recently discovered a “bicycle” of sorts that allows you to get a more intense work out than just pedaling. 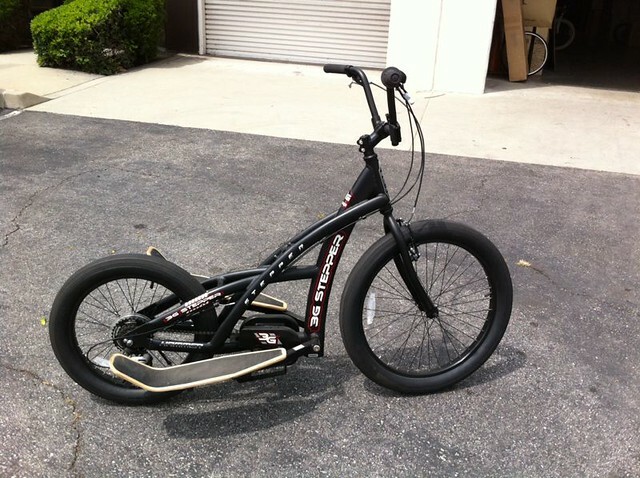 I visited the 3G Bikes world headquarters in SoCal and got a chance to ride one of their 3G Stepper machines. The 3G Stepper is a revolutionary concept developed to merge unconscious fitness with everyday cycling, which will give a healthier lifestyle to cyclists. The Stepper uses foot platforms to replace the pedals of the bike. The rider pumps the platforms up and down, rather than moving in the traditional circular motion of peddling, achieving a better toning of the whole body. It helps shape the calves, thighs, abdomen, buttocks in a similar work out to that which you would achieve on a stationery Step machine in any gym, as well as increasing your heart rate to speed up your metabolism. The Stepper bike naturally enhances an upright posture because it has no seat unlike conventional cycles. So the neat thing about the 3G Stepper is that it’s a tough work out and it has gears! Getting started was a bit awkward at first, but once I got going, the “stepping” motions were pretty natural. Cornering was a blast since it had a wide front tire. Of course when you’re riding something like this, you’re getting quite a bit of attention from drivers and pedestrians a like. Which is a good thing because you want to remain visible while you’re on the road. I know what you’re thinking, this is more of a work out machine than a mode of transportation. 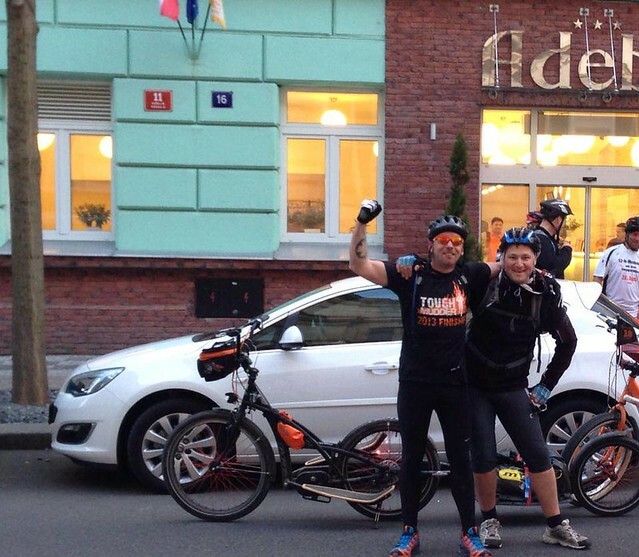 Well check out these two guys who rode their 3G Steppers from Germany to Prague (Czech Republic)! 388.42 KM (241.35 miles) in almost 3 day. If these guys can ride hundreds of miles, I’m sure you’d be able to ride your 6-10 mile commute with a 3G Stepper. It’s easy to get a little bored riding the same routes and roads all the time. Sure you can mix things up every now and again and set yourself personal best targets, but sometimes the only option is to go on a cycling road trip. However, the logistics of planning and preparing for a pedal-powered expedition are complicated. You need to find a destination and a way of transporting all your equipment. Once you’ve taken care of all that, though, the fun and satisfaction of hitting the open road and racking up the miles cannot be beaten. Unless you’ve got a utilitarian 4×4 or spacious SUV, you’re going to need some vehicle accessories to transport all that gear. In an ideal world, you’d have a vehicle like a Nissan Pathfinder with enough room for multiple bikes and all your friends. If you don’t have the good fortune to have such a vehicle, you’re going to require a few alternative transport solutions. Thankfully, you can get all kinds of bike racks and roof top cargo carriers — a testament to the popularity of the pursuit — to fit any vehicle. You may even want to hire a bigger car or trailer to tow along. 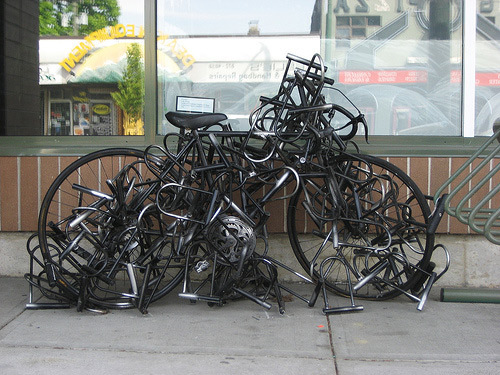 Just make sure that you secure all bikes and equipment that are fitted to the exterior of your vehicle firmly. Oh, and stick to the local rules of the road! From steep hills to rough and rugged terrain, the choice of cycling destination is up to you. Mountain bikers should have a great deal of specialist parks and courses at their disposal, while road cycling enthusiasts can go online and research popular routes nearby. If you’re looking further afield or considering a trip abroad, think about the characteristics of each destination. These will include local attractions, culture, language, amenities, climate, terrain and scenery. Road trips in the summer are obviously more appealing due to the lack of wind or rain, but staying hydrated is of the utmost importance. 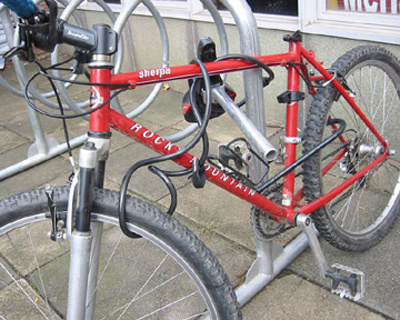 Fit your bike with a rear rack and panniers that hang down either side of the frame. These are great for carrying repair tools, food supplies, maps and spare clothing for all weather conditions. If you’re mountain biking, a backpack might be more appropriate. Bear in mind that all this equipment will probably slow you down and could also affect your projected itinerary. With a clear day ahead of you, though, plenty of time to rest and recuperate, and an inspired mind (and body), though, anything will seem possible. The aforementioned tips and advice will help you embark upon an exhilarating cycling road trip. Okay, so you’ll have to spend a few hours planning and making sure you have everything you need for the trip, but once you’ve taken care of it, it’s all behind you and it’s just the road ahead of you. Are you ready to roll?